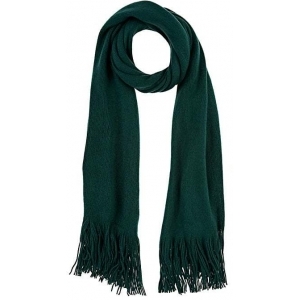 Barneys New York's scarf is fabricated from dark green knit. Self-fringed ends. 68"/173cm length x 22"/56cm width, exclusive of decoration (approximately). Available in Evergreen (dark green). 100% acrylic. Hand wash. Imported.